The umbilical cord is the connecting cord from the developing embryo or fetus to the placenta which allows blood to carry oxygen and nutrition to the baby in the womb. After the baby is delivered, the umbilical cord is cut and usually discarded with the placenta as medical waste until researchers became aware of its medical potential. 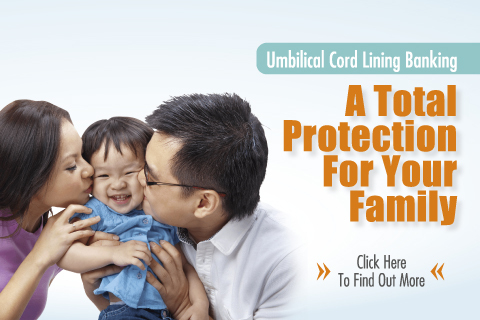 Benefits of Banking Umbilical Cord Lining? Other than containing cord blood, umbilical cord is composed of Wharton's jelly, umbilical arteries and an umbilical vein. These components are protected by a sheet-like membrane know as cord lining. While Wharton's jelly contains one type of stem cell Mesenchymal Stem Cells (MSCs), cord lining contains two important types of stem cells including MSCs and Epithelial Stem Cells (EpSCs). 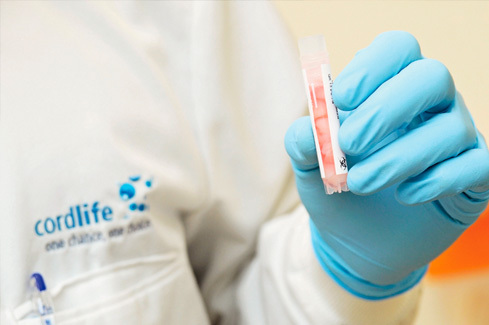 After your baby's cord lining is collected, it is sent to Cordlife's laboratory for processing and cyropreservation. Prior to umbilical cord lining processing,the identity of the umbilical cord lining collected is verified by our laboratory technologist to ensure that the unit belongs to the right client. 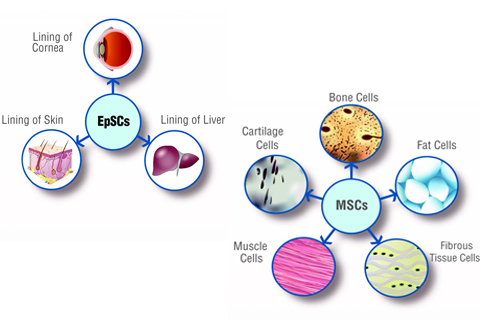 More then 20 years ago, bone marrow was found to contain MSCs. Subsequently, scientists also found that Wharton's jelly from the umbilical cord contains MSCs as well. More recently, a team of award-winning-doctor and scientist from Singapore made significant inroad in the world with the discovery of two powerful stem cell types, MSCs and EpSCs, from cord lining. More than 300 clinical trials are ongoing worldwide to uncover the medical potential of MSCs. Thus far, encouraging results have been published. MSCs have also been used in combination with HSCs as a dual therapy to promote faster engraftment of HSCs and to reduce immune system complications. EpSCs are pluripotent and have the capability of being differentiated into all different epithelial cell types. EpSCs are considered a key resource for epidermal and skin regeneration as they have demonstrated the potential in the treatment of skin wounds, ocular surface disorders and eyes with persistent epithelial defect. The banking and storage of Umbilical Cord Lining and Umbilical Cord Tissue service is not licensed by MOH as this is provided on a research/clinical trial* basis. Reference 1: MedicineNet, 2012. Definition of Clinical Trials. [online] Available at: < http://www.medterms.com/script/main/art.asp?articlekey=2752> [Accessed 1 February 2014]. Copyright © 2017 Cordlife Technologies Pte.Ltd. All rights reserved.